absolutely a beautiful page and so clean...love your style and yes yummy cheery! Awwww...so SWEET!!. LOVE cherries and everything about them :). Beautiful layering and yet simple at the same time. Makes me happy just looking at this LO. This is beautiful! Love the color combination! Thanks for joining us at Frosted Designs. 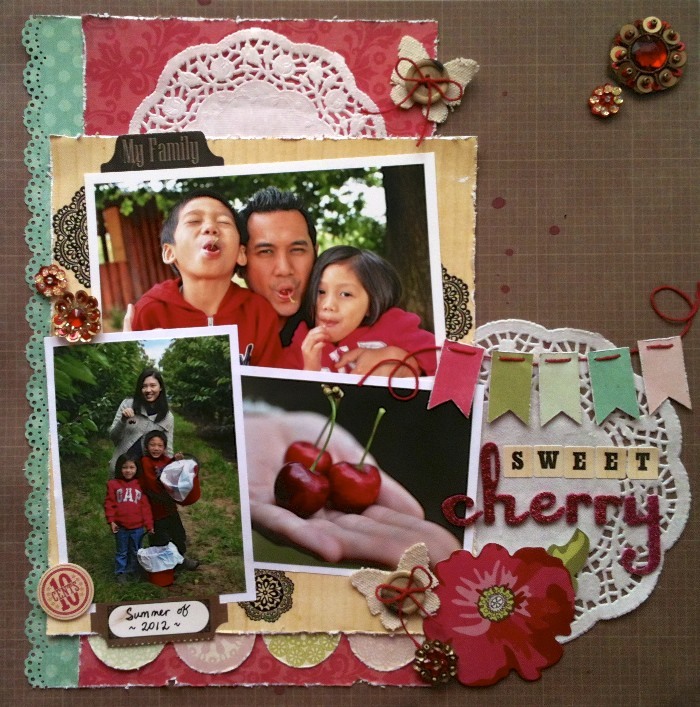 What a fun sweet cherry layout!! 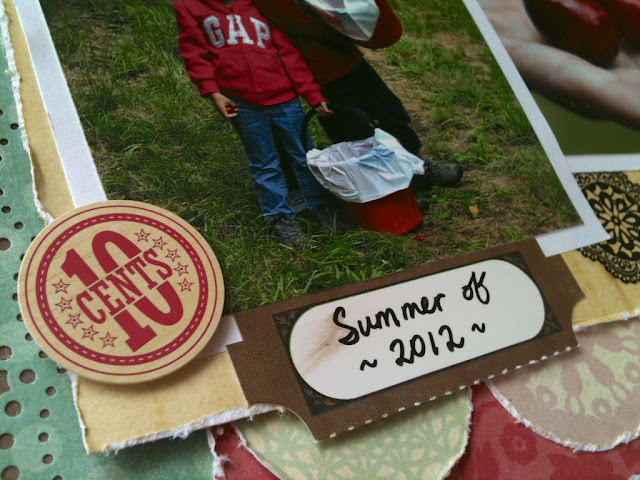 I really love your little touches... like buttons, butterflies, twine, mist drops...great details! Thanks for joining us at Frosted Designs!! Great photos. I really like the fabric butterflies. I just love that banner ... so fabulous! What a great layout! 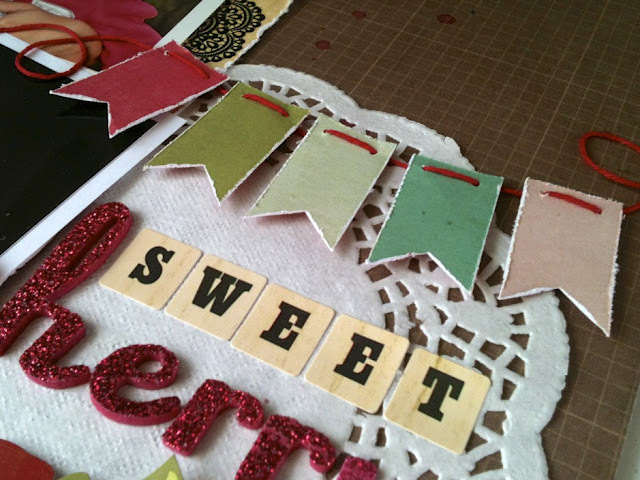 The distressed edges are great! Thanks for sharing with us at ScrapFit! Beautiful layout! 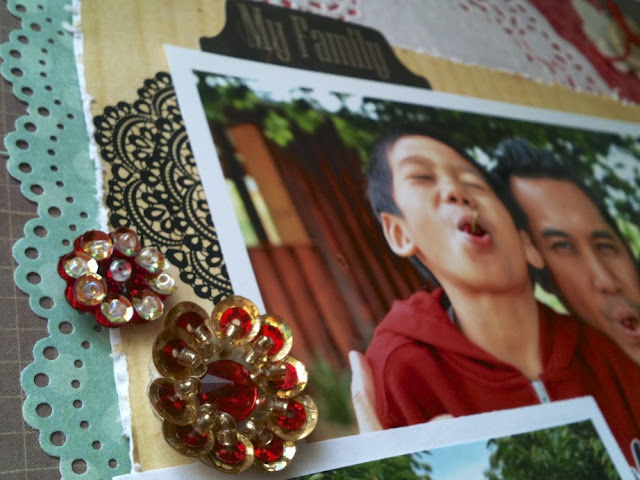 I love the colors you used and all the sweet details. Thanks for working out with us over at ScrapFIT! Love all the details!! Great LO Thank you fro sharing with us at ScrapFIT! Thanks you for dropping by.. Your comments are highly appreciated, they definitely make my day! Thanks a lot.